The information from the Consulate General of the Republic of Indonesia appears to confirm the connection between Lia and Obama. The information the Consulate General provided about Lia Soetoro and the Soetoro family starts on page 14 of the PDF file. Videos of Lia Soetoro Sobah have recently been found. Lia speaks to us, in her own words, about two years before her untimely (or perhaps all too timely) death. We don’t speak Indonesian, but perhaps some of our readers do. “Lia, a nickname. She lived at the family home of Lolo Soetoro for 15 years. And four years of which she spent in the company of a black kid who came from Hawaii. The boy was brought by his mother, a beautiful white woman, Ann Dunham, who was married to Lolo Soetoro, a manager at Pertamina. Barry, the boy’s nickname, was about six years old. Lia, who he called Sister Miss, was asked by the couple, Lolo Soetoro and Ann Dunham, to protect and accompany Barry. 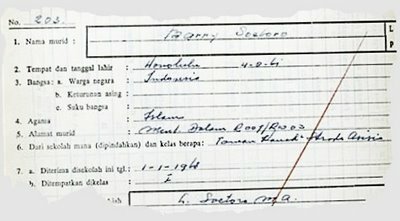 Obama’s Indonesian Chronicles: Obama’s Name Is Barry Soetoro, Religion Is Islam, And He’s An Indonesian! But who would have thought that Barry, a black boy who often asked her to play ‘mouse-tikusan’, has now become the U.S. president-elect? “Barry (Obama’s nickname) was happiest when asked to walk along the summit area. He brought home, from there, cake that he often bought–Mochi, a type of sweet snack smeared with flour, in a small basket placed in a box. Barry bought in quantity, mochi-mochi, seemingly, to share with children around his home village. That wasn’t all: Barry also often climbed the mango tree at his house in Jalan Haji pekarangannnya Ramli, Menteng Dalam, together with Non Mbak [his adopted sister Lia]; they picked mangoes and then shared them with the village children. “On his birthday which [allegedly] falls annually on August 4, Barry was very happy because at the same time, there were also crowded, hectic preparations [for the Indonesian festival of ] Agustusan. At home, at Jalan Haji Ramli, Menteng Dalam, many red and white flag were placed along the streets and alleys. “Alm. Lolo Soetoro had said that he bought the house for Obama and Maya. Obama bought his house in Ciputat, while Maya was conceived at the time they occupied houses in Menteng In. “After playing together for so long, ultimately, Obama and his sister Mbak must be separated. The Beginning Of The End For Obama’s Eligibility Cover-Up. “Mbak Non is thankful that Obama’s belongings are still there and stored neatly away. Blankets filled with vomit stains and Obama still have a wooden carving of the traditional house of Toraja Land purchased for Mbak Non by Obama is also still there and other objects. So there you have it. In her own words. Make of these introductory translations what you can and will. Some are difficult to decipher. I look forward to hearing from anyone who can translate and transcribe the actual interviews for us. However, it certainly sounds plausible that not only did Lia live with Barry for years, she also remembers much about their time together. Detailed memories, capable of being verified. Names, locations, visitors to the house. Witnesses who could corroborate what Lia says. She even retains many of Barry’s belongings from those days, including, if I’m reading correctly, vomit-stained blankets! She shows the blankets and other artifacts to the reporter. DNA, anyone? Some have questioned the authenticity of Lia’s memories. Is she a charlatan, out for her 15 minutes of fame? Perhaps. But she must be (strike that: must HAVE BEEN) a very clever and daring person, to have invented such detailed memories. Memories that ring true and which hang together. Especially since the Indonesian media were taking her seriously and could easily do the legwork necessary to try to authenticate what she said. After all, they had well over a year from the time of these “inaugural” interviews until the time of her death, in Feb. 2010. Ask yourself two questions: Why did Obama cancel that trip to Indonesia after Lia’s story came out? Why did Lia die so suddenly and mysteriously, as she was again being interviewed by Indonesian media, in anticipation of the Obama visit, planned for Spring 2010? Then ask yourself these questions: Who had more to hide? Who is the bigger charlatan, fabricator, liar? WHAT INFORMATION WAS TAKEN TO HER GRAVE? You haven’t heard of Lia? Neither had we. The unknown, until now, adoptedsister of Barack Hussein Obama died unexpectedly February 26, 2010. The USA media didn’t cover the story of this woman nor was her name found until the last few days. A competent WTPOTUS sleuth, Leza, and other researchers uncovered an article about an adopted “kakak” (literally “older sibling”, often translated as “brother”) in Indonesia, named Lia or Lee. Following up on a tidbit of information and other clues, more information was uncovered. Lia was an adopted sister, not a brother. Two Indonesian obituaries were just found. 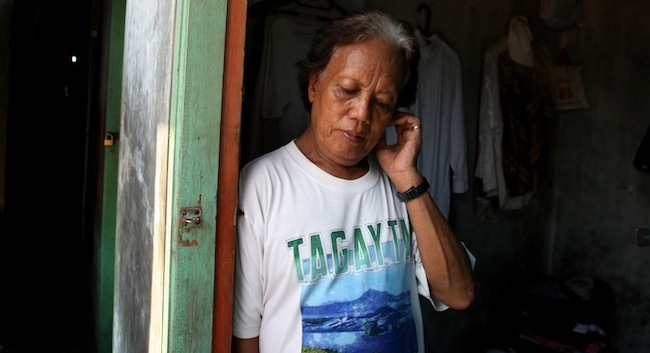 These tell the final tale of this woman nicknamed Lia, whom Obama called “Mbak Nun”. UPDATE: Barack’s half-sister Maya called Lia a fraud, but a PDF document from a web site of the Consulate General of the Republic of Indonesia appears to confirm a relationship between Lia and Barack Hussein Obama. Start near the bottom of page 14. It’s in Bahasa Indonesia (the language of Indonesia), but even without translation you can see Lia’s and Barack’s names. 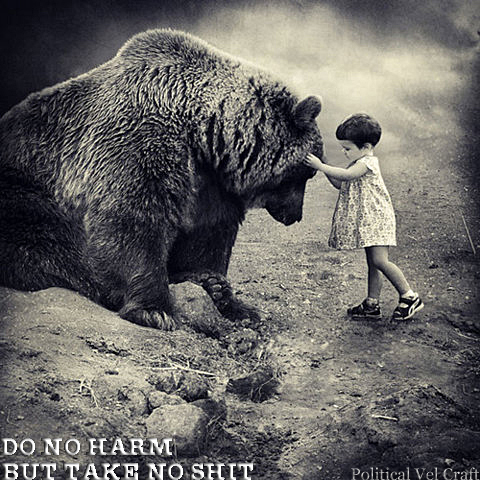 Translations of that text can be found in comments to this post. Below is a tiny photo of Edi Sobat and Lia Soetoro Sobat. Her name was Holiyah Soetoro Sobah, age 53, born in 1957. She was the wife of Edi Sobah, age 60. They live in West Java, Indonesia. They had three children: Heni; Marlina, age 27; and Nova Noni, age 25, and four grandchildren. In translated articles Barack Obama is referred to as her “adopted brother” and “foster brother.” The fact she used the name Soetoro certainly is telling. It appears that Lolo and Ann adopted Lia, but there is no documentation for that assumption, just her words in an article. The only knowledge we have about Lia is from one article and her obituaries. An Indonesian article was written about Lia’s invitation to the presidential inauguration in 2008. She was very excited about seeing Barack Obama again. The last time they saw each other was in 1971 when Lia visited him in Hawaii. She was 14 at the time, and Barry was 10. When Lia was leaving Hawaii after her 3 month long visit, Madelyn Dunham gave her a monkey doll and clothes that she is holding in her picture. The doll brought back so many fond memories that she was planning to give it to him when they met again. She stated that she received her invitation to the presidential inauguration in a phone call from a close friend of Maya Soetoro, Barack Obama’s half sister. The translation said that a white woman who wears glasses and who she knows by the name of Gelf asked her to attend Obama’s inauguration. Gelf also asked her to be prepared to meet with Barry before hand. Additionally, Lia was told that a woman of status and means would be paying the Rp600.000 for her birth certificate and travel. After receiving the money, she was told to wait for further news about the final plans. Whether Lia came to the USA to attend the festivities in January, 2008 is unknown. More information from the article said that Lia stayed at the home of Lolo Soetoro (Obama’s stepfather) and Ann Dunham Soetoro. If I understood the translation, one morning in 1966, Lia, age 7, ran away from home. 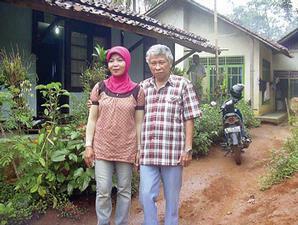 She ended up at the house owned by Mrs. Siti Bogor. It happened that Mrs. Bogor was a maid who worked for Lolo Soetoro and Stanley Ann Dunham in Jakarta. At some point, Stanley Ann Dunham asked Mrs. Bogor if she could adopt Lia. The answer was yes. She said she called Lolo and Ann, Mr. and Mrs Lolo Eny. In return, they called Lia ” Non” a nickname for Nona. She said, “I was always called Non, but Barry called me Ma’am Non.” When Lia lived with the Soetoros Maya hadn’t been born yet, and Barry was living with his grandmother in Hawaii. After living with Lolo and Ann for awhile, “Eny” [Annie] promised to give her a sister who would keep her company. Ann told her, ” Stay well, I’ll pick up your brother Barry.” Two years later, Barry left Hawaii and went to Indonesia to live with Lolo, his mother, and Lia. Lia remembered that Obama was four years younger than she. She said that he was born in Honolulu, Hawaii, August 4, 1961. Lia stated that Barry Obama went to school and got a basic education in Jakarta. According to Lia, she and Barry were always together; they played, slept and bathed together. They traveled on vacations as a family as well. Several times they went to the summit, Yogyakarta, Bali, to the Land of Toraja (Sulawesi South), and the Bogor Botanical Gardens. They loved to travel. Amazing isn’t it that this adopted sister has remained unknown and not acknowledged as part of Barack Obama’s life story. Her name was never mentioned in his books or by Maya Soetoro-Nyg. As far as we know, it appears Barack Obama didn’t attend his step sister’s funeral in Indonesia. Lia’s family need not feel bad, he nor Michelle or their children didn’t pay their respects to Grandma Madelyn either. Grandma Madelyn was not surrounded by loving family when she departed this earth, and a proper burial ceremony wasn’t performed. God rest their souls. More facts may be revealed about Lia’s origins and her adoption by the Soetoro family. We are left to wonder what happened to her biological parents and why was she adopted by Lolo and Ann? Why did Lia run away from home? What happened to Lia after Stanley divorced Lolo? Who is Gelf? Who was the wealthy woman that sent money to Lia? Why has she been kept a secret? What caused her death? What secrets did she take to her grave? Hours prior to her unexpected demise, she was talking to several journalists about Barry’s anticipated arrival to Jakarta, Indonesia. She was sending messages to her husband’s cell phone about those conversations. Unfortunately for her, Lia didn’t live to see Barack Obama, her “adopted, foster” brother, again. Lia died on Friday, February 26, 2010. Below is the Indonesian to English translation of the article and obituary. 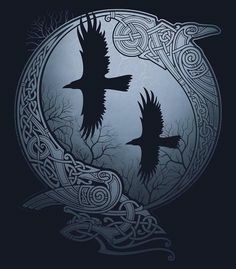 Some of the words are incorrect when translated, i.e., Lia is called a brother, and the he and she’s are mixed up, but you certainly will understand it even if a bit confusing. Obama’s Adopted Sister Foster Brother and Maid? U.S. PRESIDENT elected, Barrack Hussein Obama, was once a four-year stay in Indonesia. Although now widely separated by time and place, many Indonesian people who are made happy with the victory of Obama. One of them is Mbak Lia aka Non, foster brother when Obama was in Indonesia. “I call him Barry because it’s hard to say Barrack. So, I call him Barry, “said Lia (51), on Tuesday [Jan. 13] at her home, in Kampung Babakan Bantam, Sukasirna Village, District Cibadak, Sukabumi, West Java. Lia meeting Barry is a coincidence. One morning in 1966, Lia’s new seven-year-old ran away from home. Lia little confused at being dumped into a house owned by Mrs. Siti Bogor. Apparently, Mrs Siti is a maid in the house the couple Lolo Sutoro and Stanley Ann Dunham in Jakarta. When Mrs Dunham Siti pick to return to Jakarta, he asked Allie to be adopted. Two years after Allie to be adopted Sutoro and Dunham, Sutoro pick Barry from the U.S.. At that time, Sutoro become a manager at PT Pertamina. At first, Lia pleased that means it will have a friend and foster sister. ” “We met, I said to my mother, I am not happy that a black child and could not speak Indonesian,” said Lia. Mrs Dunham convince Lia that Barry would be a nice sister. After obtaining Indonesian tutoring for seven months, Barry began to communicate with Lia and Siti who are called by Simbok. Barry called Mbak Lia with a call girl, followed her mother calls. There are many memories in the mind of Barry Lia about the figure. . One of the unforgettable memories that Lia is a hobby Barry’s speech. Barry very happy listening to Suharto’s speeches on television. “When President Suharto’s speech, Barry wrote it down neatly. After that, he practiced the speech of President Suharto in front of the house, “says Lia. One time, Barry was President Suharto‘s speech mimicked in an event several times declared Indonesia as a country that Gemah Ripah jinawi loh. ” “He’s very difficult to spell those words, but to impose that sounds funny,” says Lia. At home, Barry and Lee shared a bedroom, but different beds. Barry and Lia always wanting to sleep and wake up together. When Lia got up earlier and leave Barry, he would be furious. ” “After that, he then tied my hands and arms with a long rope. If one woke up, only allowed to leave the room when he woke the others,” says Lia. In 1971, Barry returned to Hawaii. Lia joined him and got three months in Hawaii before returning to Indonesia. In Hawaii, Lia often invited Barry to go to the beach or to go shopping. Lia sad when parting with Barry. By the inauguration of Obama, Lia received notification will be invited by a member of Obama’s successful team. However, until now there is no certainty. Despite claiming she’d love to meet with his adopted brother, Lia chose her desire to bury deep. Lia was glad her sister is black, filthy, and often annoying it becomes U.S. President. 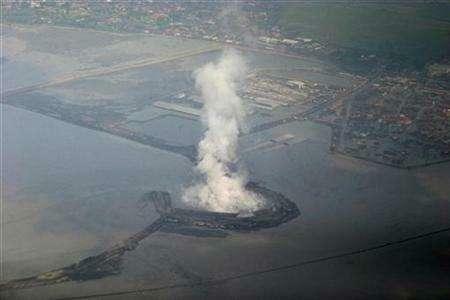 NWO Cabal’s BP Oil Destruction Of Indonesia. SUKABUMI, (PRLM) .- The desire Mrs. Holiyah (53) residents of Kampung Babakan Bantam, Village Sukasirna, Cibadak District, Sukabumi Regency wanted to meet the President of the United States (U.S.), Barrack Hussein Obama is disappeared. Holiyah Soetoro often called Lia, Thursday (25 / 2) died shortly before sunset. Bodies of mother who has three children and four grandchildren, the Friday (26 / 2) is buried not far from his home. Seen her husband, Ibn [Edi] Sobah not withstand the power of compassion as Lia’s body was buried. Lia’s death which was judged very suddenly hit her feelings. Several hours before her death her husband, [Edi] Ibn Sobah could receive short messages via his mobile telephone. He was interviewed a number of journalists inform the related plan of the arrival of his adopted brother, Barrack Obama to Jakarta. “He was very nostalgic to see Barry (Lia’s favorite call to Barack Obama — ed). The news of U.S. President’s arrival plans, had welcomed the coming months the deceased. But what say he died before seeing his adoptive brother, “said suamiya, Ibn Sobah. This was another suspect death in the family of Barack Obama. Living relatives should beware. UPDATE 2: Video of “Lia” is available here. ← America For Sale: Obama – China Breaching National Security: U.S. Companies Being Forced Into 50-50 Agreements With China.